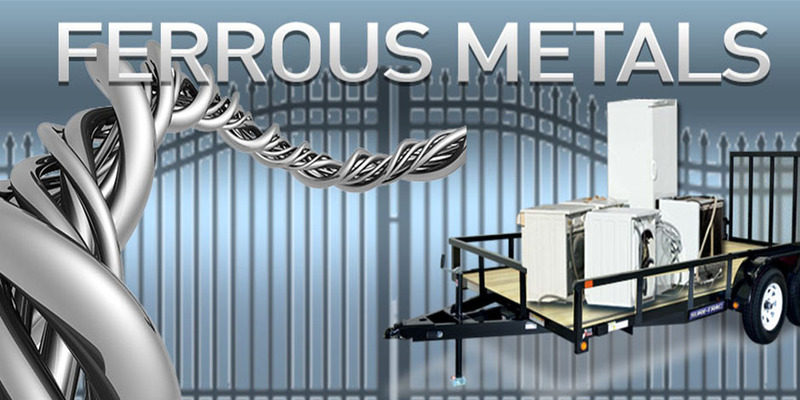 Ferrous Metals | Recycle USA, Inc.
At Recycle USA, Inc., we have precise and accurate weight / price averages on Ferrous Metal. We other materials such as Stainless, Copper, Brass, Wire, etc., on a per pound basis as per customer request, if preferred. Come to Recycle USA, Inc. for the highest Electric Motor Scrap Prices along with other copper bearing items. Electric motors are found in anything from microwaves, commercial equipment, hand tools and more. Electric motors that have copper winding’s inside are worth a lot more than ordinary scrap iron. To get full value, just disconnect it from a mounting base, pulley, pump or anything else that may be attached. The idea is to sell just the motor itself so the ratio of steel to copper will be correct when the consumer buys it for recycling. Some appliances, like washers and dryers, have electric motors with aluminum winding’s. These are merely worth scrap iron price – they will be sent to a shredder so the aluminum can be separated from the steel after it is ground up. Refrigeration compressors are used in air conditioning units, refrigerators and freezers. They have copper windings inside a steel shell. The steel content is heavier than it is in the electric motors, so they bring less money, but it is still quite a bit more than ordinary scrap iron. It is illegal to remove a compressor from an appliance before the refrigerant (Freon) has been recovered by a licensed technician. We will not pay for an air conditioner, freezer or refrigerator if the refrigerant line is cut or the compressor is removed unless we are informed it was performed by a technician and you provide us with his registration information. Refrigeration compressors are not to be confused with cast iron air compressors, which do not have copper windings inside. Those are purchased at a price similar to shredder scrap. Must be drained of all oil and refrigerate before delivery to Recycle USA, Inc. Prepared Iron scrap is also referred to as “Heavy Melt Steel”, (HMS). It gets this name as it can be put directly into the steel mill blast furnaces without having to make any modifications to it. Prepared iron is single dimensional steel that is in 3-foot sections or smaller. Heavy Melt Steel differs from clean sheet iron because it has to be three feet or smaller in length, be single dimensional and must be at least ¼ inch in thickness. Common usages; Pipes, Rebar, Steel plates, Fire hydrants, Structural Steel, I-Beams, Bridges, Beams, High Rises. Birmingham Recycle USA, Inc. Providing Motor Blocks Recycling Services. At Recycle USA, Inc., we accept Motor Blocks and assist you with separating them from you other materials if you don’t know what they look like. New motor blocks have aluminium housing. We also buy other materials such as Stainless, Copper, Brass, Wire, etc., on a per pound basis as per customer request, if preferred. Birmingham Recycle USA Inc. Providing Sealed Units – HVAC Recycling Services. At Recycle USA, Inc, we accept Sealed Units HVAC / HVAC Compressors and assist you with separating them from you other materials if you don’t know what they look like. Sealed Units – HVAC/HVAC Compressors will usually have a black out casing which is made of steel. However on the inside their is an electric motor which contains copper. Birmingham Recycle USA, Inc. Providing Tin & Appliances Recycling Recycling Services. A t Recycle USA, Inc., we have precise and accurate weight / price averages on Tin & Appliances. If you have appliances you’d like to get rid of, let Birmingham Recycle USA, Inc. recycle them! Recycle USA, Inc. is not your standard scrap yard. Beautifully landscaped with palm trees, located on our state-of-the-art 34-acre processing facility dedicated to the new iron processing facility with state of the art metal processing equipment on order, our Customers feel as if they have entered a Miami garden. We love metal and it shows!